Today's post is the first guest post on my blog by the beautiful Asmaa. 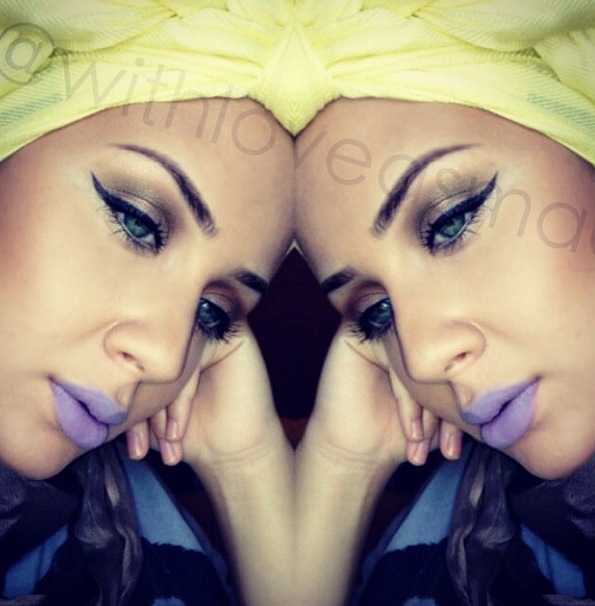 Read below to get this look and follow her on instagram: withloveasmaa for more makeup tricks and tips! This look is a fairly simple look. 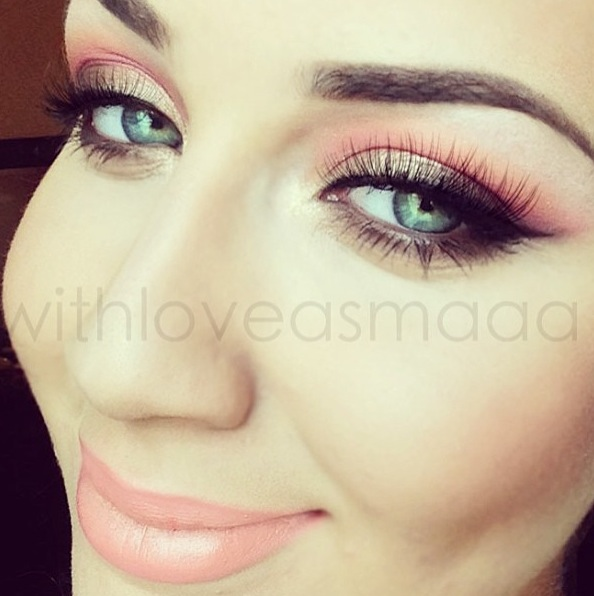 For those daring this could be a daytime look or for most of us a nighttime look. I used really blendable eyeshadows by inglot. The color on my lids is this rich burgundy color blended out with a peach which makes it really wearable during the day. 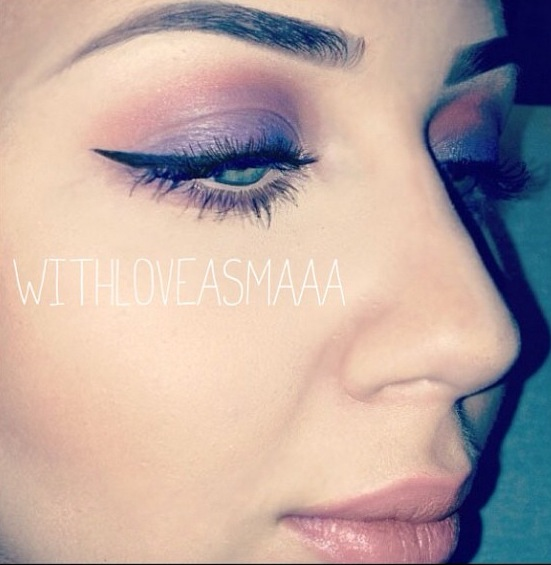 And on the lower lashline a bright purple blended in really well. And of course you have your winged eyeliner, mascara and your lashes. Hope you enjoyed this look!